It is often the fear of failure which causes many infertile patients to stay away from exploring IVF treatment. This fear can be a major emotional hurdle, which stops them from exploring IVF. Even though they know that IVF is the one treatment option which has the highest success rate, they will refuse to consider the option. They prefer keeping it “ in reserve” – as a last resort, in case everything else fails. However, this decision to defer IVF does carry a major opportunity cost , because ovarian reserve declines the longer the decision is postponed. This is the reason many infertile couples will keep on changing gynecologists and keep on repeating IUI cycle after IUI cycle, without being able to build up the courage to see an IVF specialist. Their fear ( which often remains unarticulated ) is that if the IVF cycle fails, then they will have nothing else to fall back on. 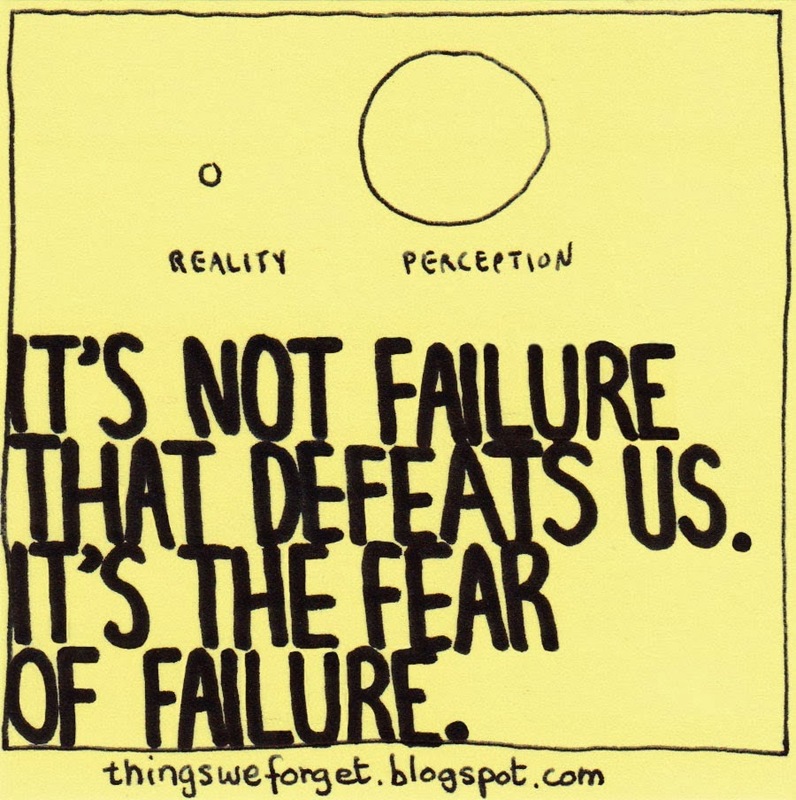 This fear of failure is extremely irrational . Just because there is a possibility of failure , this is not a sound reason to never even attempt IVF. It’s is true that it can take more than one cycle to succeed, but this is far better than wasting time pursuing ineffective options which have a much lower success rate. It is this emotional overreaction to the possibility of failure that puts them off. Research has shown that, people overestimate the impact of negative events , and psychologists call this impact bias. Women are scared that if their cycle fails , they will go to piece and that life won’t be worth living anymore. However, the truth is that we all have a mental health immune system. Just like our physical immune system , which protects us from invasion by bacteria and viruses, this plays a very useful role in helping us to cope with life. However, because it cannot be seen, most of us are are not even aware that we possess one ! Fortunately, this works extremely efficiently , and helps us to cope with the disappointments of daily life , which we all have to live with . We all suffer from cognitive biases and prejudices , which explain why we do this. We underestimate our ability to be able to cope with disappointments. Many For example, studies have shown that lots of people believe that if they developed paralysis because of an accident , life would no longer be worth living. In reality , when the happiness levels of paraplegics is tested about one year after the accident, most are reasonably happy and well-adjusted . This is why the four wisest words are – This too will pass ! While it is quite reasonable to fear failure , often the bigger failure is the failure to act . Many studies have shown that we often regret the things we don’t do in life, as compared to the ones that we do, even if they don’t succeed. From a purely logical point of view, even if the IVF cycle fails, you are no worse off than when you started. You didn’t have a baby before the IVF cycle , and you still don’t. But you do have the peace of mind you tried your best, and this feeling can be invaluable. Otherwise you will always be haunted all your life by the possibility that maybe if you had tried IVF, you might have ended up with a baby ! This kind of “ What if” doubt just adds to your stress levels, and detracts from the quality of life for infertile couples. One way of reducing your fear of failure is by maximising your chances of success !